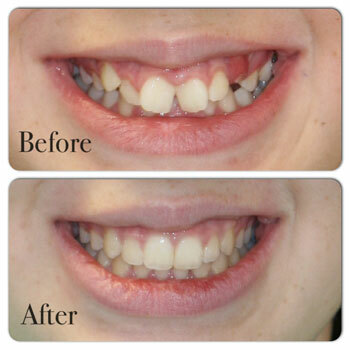 •	We also offer Invisalign and the consultation for Invisalign is free. We offer both traditional metal and clear ceramic braces to remedy these alignment problems. Braces work by applying a gentle amount of pressure to the affected teeth and jaws, bringing them into correction. We also offer Invisalign and the consultation for Invisalign is free. If you live in Somerville, MA, or any of the surrounding towns, call Lang’s Dental Center to discuss your dental situation.